When trying to have my students work with circles and understand them one of the challenges that comes up is how to use the tools in the geometry kit. The compass especially is challenging for the students as many of them have cheap ones and don't really have an idea how to use it. I decided to create something that made them use the compass. Enter the mandala. This project brings in patterns, circles and creativity. They make an excellent display and can be done in Art class if you want even though I did it in Math. They link into Tibetan culture for a Social Studies aspect as well. The Mandala is supposed to be meditative and so I also try to have the students relax while they create. Having the students practice drawing circles on a blank page is a good way to start because they need the practice in making the circles as perfect as they can. The mandala is supposed to start from the center so I get the student to start by drawing smaller circles and then just try to get them to create from there. Even though they are supposed to flow I try to have my students use the tools from their geometry set as part of the process. This video definitely helps them visualize. 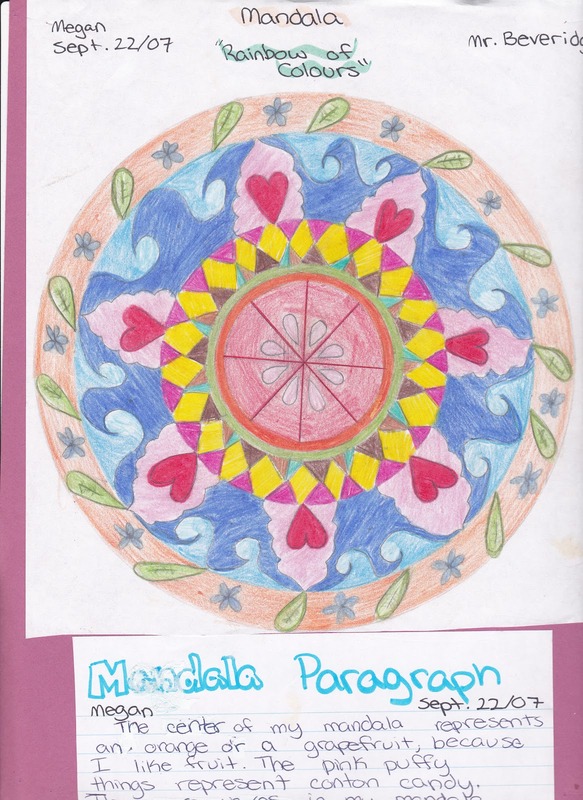 I had the students also try to name the mandala and explain what it means to them. The students enjoyed this, especially the ones who are not so fond of math because it is more of an Art project in their mind. It did though begin to bring them into math a bit and find some strengths in the math class. Here is the criteria sheet that I gave them which also has a great website on how to draw mandalas. I used some of their resources while making adaptations for some of my special needs students. You will be using your compass to create your own Mandala. 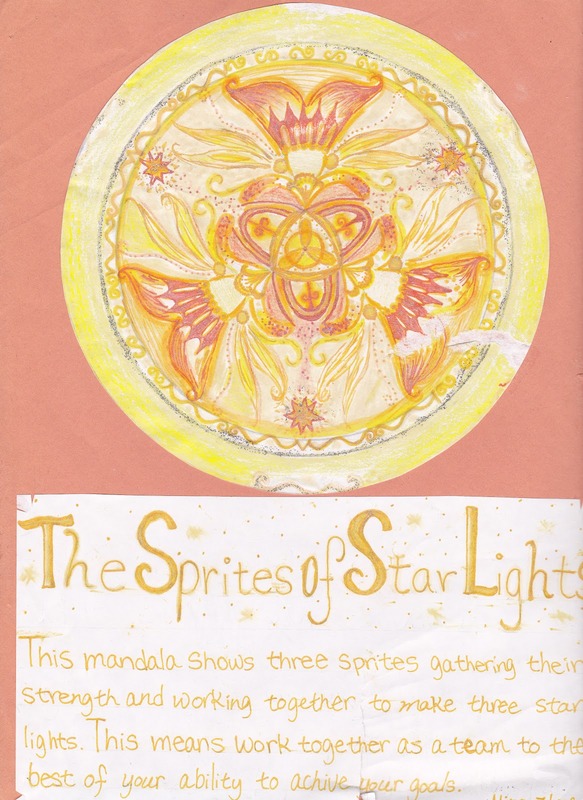 Read the information on the back of his page and look at some examples to get an idea about creating a Mandala. Draw a circle with a compass. Then fill in the circle with color and form. Allow your mandala to unfold with as little thought as possible. Let go of all your notions about how a mandala should look. There are no "right" or "wrong" mandalas. 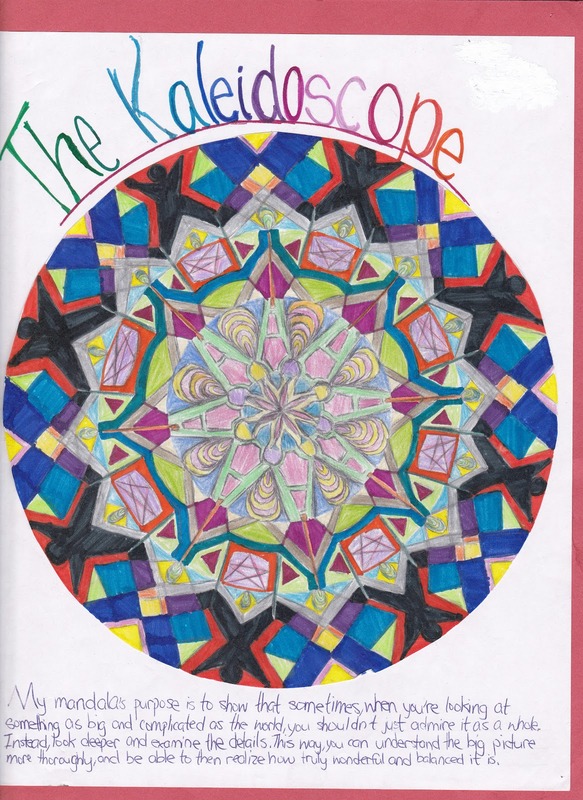 Let your choice of colors for your mandala be instinctive. As you look at your box of chalks, your paints or pencils, pick the color that attracts your attention first. Try not to think much as you begin to fill in your mandala with color.